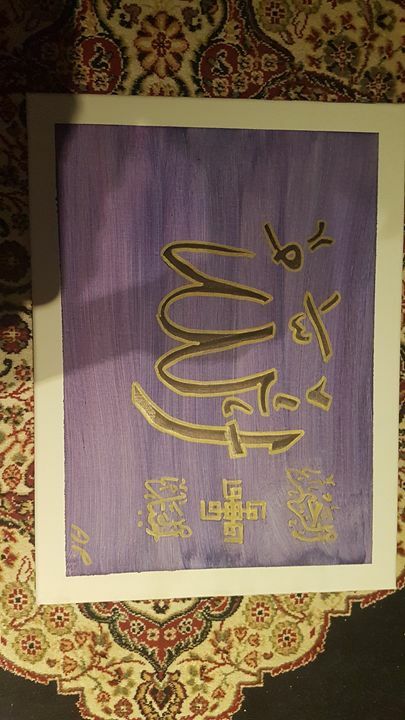 Allah is written in calligraphy and down the side there is Al Raheem and Al Jabbar which are 2 of the 99 names of Allah. Colour is a purple blue. Made by Armaan Pardhan.